Few vaping tanks have ever caused as much of a stir in the industry as the SMOK TFV8 Cloud Beast did on the day of its release. In the arms race of cloud chasing, the world’s vaping tank manufacturers were locked in a virtual dead heat. 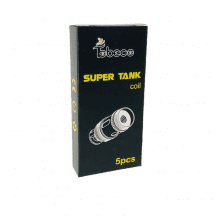 To build better tanks, manufacturers were using dual-coil and Clapton coil atomizer heads. Some companies — SMOK among them — experimented with quad-coil atomizers. The SMOK TFV8 was the first tank to reach the market with an octo-coil atomizer head, and that changed everything. The huge SMOK TFV8 Cloud Beast coils have influenced every subsequent vaping tank, and it remains one of the most popular sub-ohm tanks in the vaping industry today. What’s Special About the SMOK TFV8 Cloud Beast? 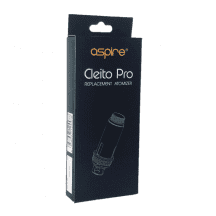 Did we mention the octo-coil atomizer? 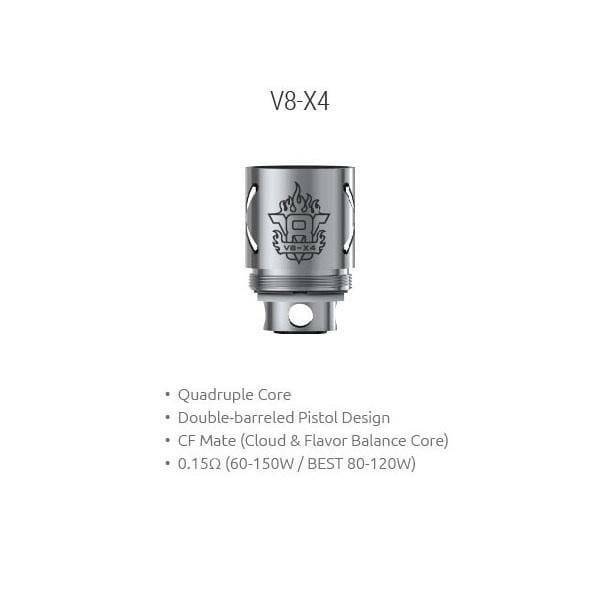 SMOK TFV8 Cloud Beast coils might be more expensive than some other atomizer coils, but you’ll understand the reason for the price difference when you look at the hardware for the first time. Each coil includes a massive amount of metal, a whole lot of wire and plenty of organic cotton to keep all of those wires nice and wet. If you have a device that can drive the SMOK TFV8 Cloud Beast at an appropriate wattage, the clouds that you get out of this tank will blow you away. SMOK has since upgraded this technology with the release of the TFV12 Cloud Beast King, but the TFV8 Cloud Beast still has a place in the vaping world for two reasons. 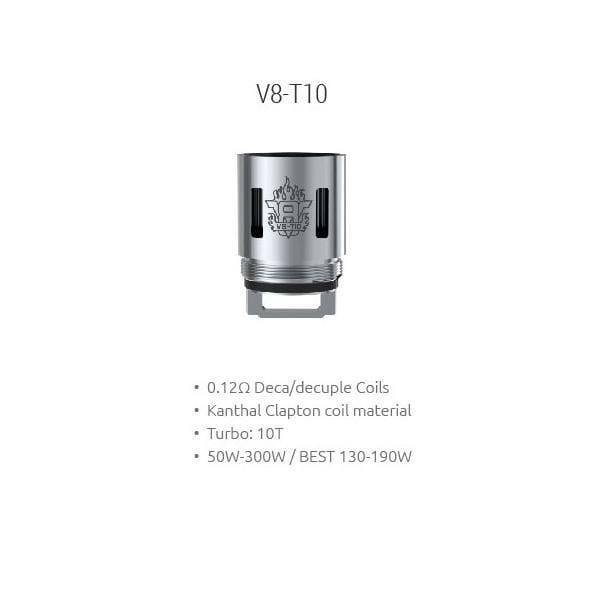 The first is that the TFV12 Cloud Beast King operates within extremely high wattage ranges and works well with only the most powerful mods on the market. The second reason is that the TFV12 Cloud Beast King drinks e-liquid by the gallon. 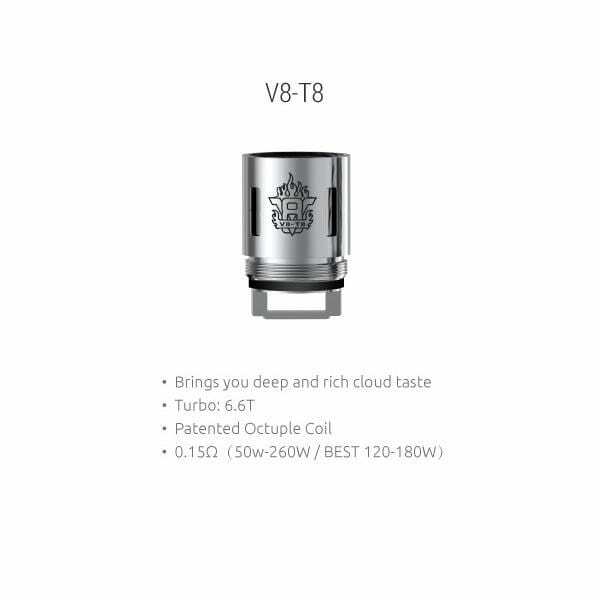 If you’re not into the idea of sucking down 30-40 ml of e-liquid per day, the TFV8 Cloud Beast is a perfect compromise that allows you to enjoy big clouds without using quite so much e-liquid. 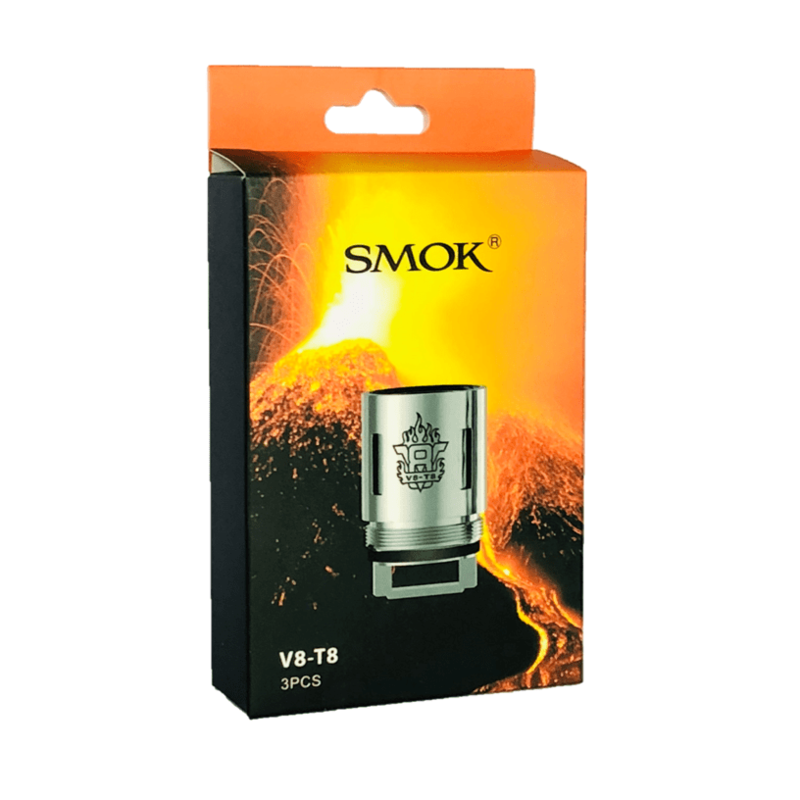 As you might have guessed, the SMOK TFV8 Baby Beast is essentially a smaller version of the TFV8 Cloud Beast. 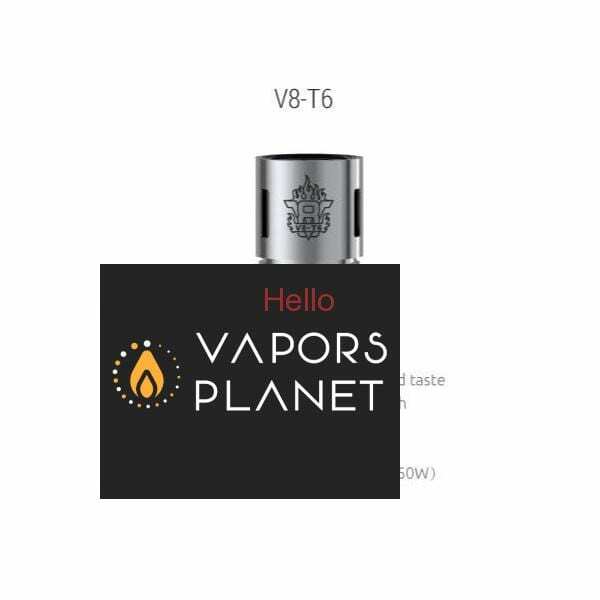 If the TFV8 Cloud Beast is so great, you might be asking yourself why SMOK would bother releasing anything smaller — and the answer is that the Cloud Beast isn’t appropriate for some smaller vape pens because those devices can’t quite reach the wattage levels necessary to drive the big coils of the Cloud Beast. The TFV8 Baby Beast uses some of the same technology, allowing small vape pen owners to enjoy bigger clouds than ever before. The Baby Beast uses smaller coils, though, and the clouds aren’t quite as large as those of the Cloud Beast. 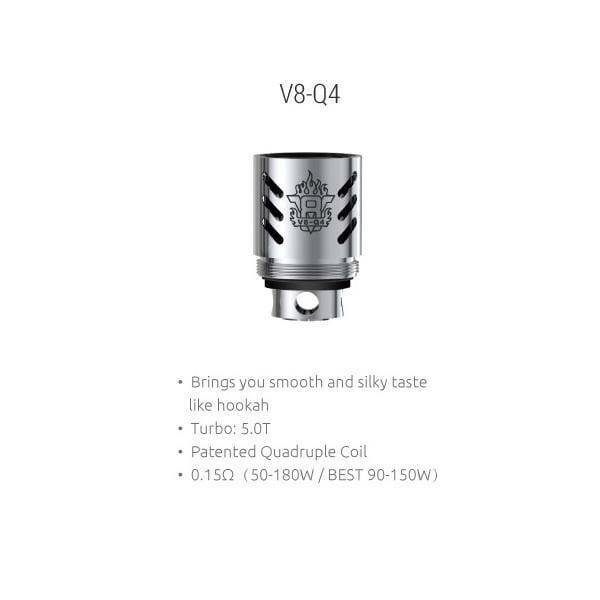 Coil Compatibility Note: These coils work with the SMOK TFV8 Cloud Beast only. Get your SMOK TFV8 Baby Beast and TFV8 X-Baby coils elsewhere on this site. T10 coil: 0.12 ohm. Suggested operating range of 50-300 watts. For direct-to-lung inhaling. 10 total heating wires. T8 coil: 0.15 ohm. Suggested operating range of 50-260 watts. For direct-to-lung inhaling. Eight total heating wires. T6 coil: 0.20 ohm. Suggested operating range of 50-240 watts. For direct-to-lung inhaling. Six total heating wires. Q4 coil: 0.15 ohm. Suggested operating range of 50-180 watts. For direct-to-lung inhaling. Four total heating wires. X4 coil: 0.15 ohm. Suggested operating range of 60-150 watts. 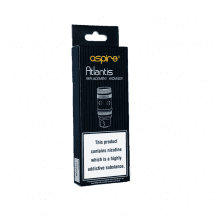 For direct-to-lung inhaling. Four total heating wires.